Perfect for fans of Lorraine Heath and Tessa Dare. 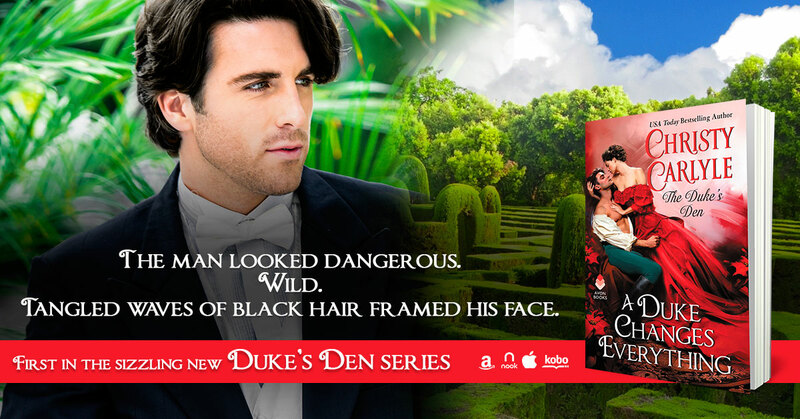 The first book in the new Victorian romance series The Duke’s Den, A DUKE CHANGES EVERYTHING, by Christy Carlyle has the romance and brooding hero that readers will fall in love with. “Your sleep was troubled?” she asked softly. “I heard you call out. I thought you said my name.” Mina swallowed hard after the admission. She’d probably misheard him, but some rationale felt necessary to explain her presence in his room. “Did I? Perhaps you’re haunting me in my sleep.” He did that thing with his thumb again, a seductive slide against her skin. His touch rippled out to spark goose bumps along her arm and heat between her thighs. “You don’t remember your dreams?” she asked, her voice trembling like her insides. She moved closer. He was utter temptation, all blazing heat and forest scents, and she felt an odd comfort being near him. She knew she should be scandalized. To be alone with him, a duke of the realm. A gambling club owner. Especially while he wore nothing but trousers and a half-buttoned shirt. Fueled by Pacific Northwest coffee and inspired by multiple viewings of every British costume drama she can get her hands on, USA Today bestselling author Christy Carlyle writes sensual historical romance set in the Victorian era. She loves heroes who struggle against all odds and heroines who are ahead of their time. 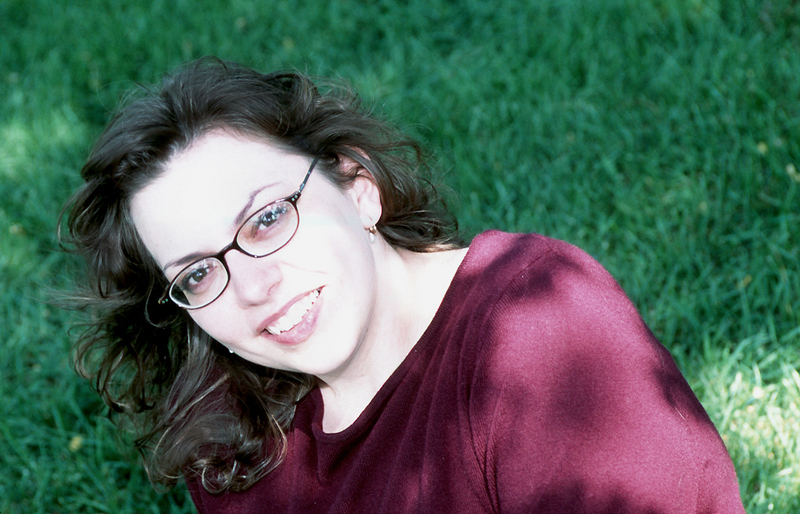 A former teacher with a degree in history, she finds there's nothing better than being able to combine her love of the past with a die-hard belief in happy endings. Roma King by Callie Hart - Spotlight! Slow Shift by Nazarea Andrews - Release Day! Becoming His by Mariah Dietz - Sale Announcement!